The Statue of Liberty standing at 7.5 foot tall in her famous green colour. She also has electric fitting so her torch lights up. 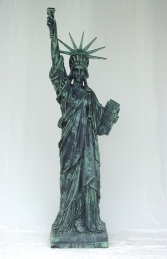 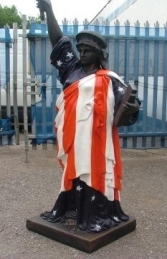 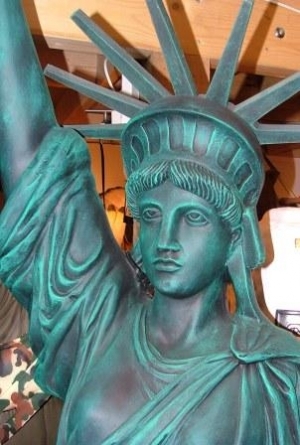 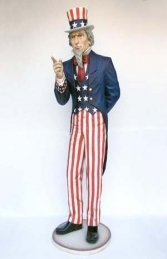 The Statue of Liberty would brighten any display in your theme bar, diner, window display, crazy golf course, coffee shop or pub the list is endless. 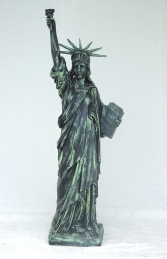 She would look good in any home or garden which would be a real head turner.